Dan Gurney is probably one of the most popular driver in the US. He has been involved in auto racing for fifteen years as a driver. His impressive record includes victories in various types of cars, including Formula 1, NASCAR, Trans Am, Sportscars and Indy cars. 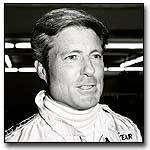 Very versatile, he always had a good feeling with cars and he formed All American Racers in 1965, together with Carroll Shelby. They were backed by Goodyear Tire and Rubber Company. From that moment, AAR has built a very wide range of cars, should we say, successful race cars. They built Formula Ones, Indy cars, and then Trans Am cars and AAR became soon very poplar worldwide. When Dan Gurney retired from racing, in 1970, he bought out his partner Carroll Shelby and thus became the sole owner for his company. He has remained until now. This company has grown in a continuous way, and been gradually expanded. Housed in a 75000 sq-ft factory located in Santa Ana, California, it encompasses five buildings. A lot of mechanics, engineers and team members have been involved in various AAR programs. if he would be interested in becoming a spokesman for the new Supra, which was to be introduced at this time. Upon his acceptance, he got to know a lot of interesting people, and by the way, knew about the GTU program. At that time, it was Kent Racing who was in charge of it. Dave Kent, who had successfully run Mazda RX7s in the early eighties, was the creative type, but he had other things in mind. So Dan Gurney finally volunteered to take over the program, which was accepted by Toyota. The cars were Celicas powered by small four cylinders 2,0L engines, 16-valve DOHC, given for 300hp . They were cars from the last generation. Later, they would gradually evolve, the frame being reinforced and redesigned by Hiro Fujimori. Critical areas were redesigned. The drivers that AAR was able to hire would have made any works team jealous, it was the kind of stellar one. To name a few, Dennis Aase, Chris Cord, Willy T Ribbs and Wally Dallenbach Jr were such drivers. Cars, at the beginning of AAR involvement in GTU, had trouble keep up with the best, but they were in the learning curve. The cars soon became very fast, but were still unreliable. Then the cars improved, and by the way, won some races. In 1983, two victories were claimed by AAR cars. At Daytona, they could not finish better than seventh. At Miami, things went much better with a second place in the GTU race by Whitney Ganz. Then it was Riverside and a victory by Wally Dallenbach-Whitney Ganz and Dennis Aase. At Laguna Seca, a sixth place rewarded Dennis Aase. Next came Charlotte with a new victory for the Celica driven by Wally Dallenbach Jr and Dutchman Boy Hayje. Things went not so good later in the season with no more victory. It was mainly due to a lack of budget, and cars could not be developed as the team would have wanted. The season ended with a pair of dnfs, and an eigth in class at Mid Ohio. Toyota was fourth in points in the GTU Manufacturers standings. Looking for a better reliability, things improved a bit in 1984. Four victories rewarded the team : Miami, Laguna Seca, Charlotte and Sears Point. Chris Cord was sixth in points and Toyota was now third in the Manufacturers standings. In 1985, things evolved as one car was entered in the GTO category. The car was a specially modified GTU car fitted with the turbocharged 4T-GT engine. It was no more than an evolution of the actual car, and it would serve as a basis for the later car. The team was rewarded with a victory at Laguna Seca for Dennis Aase. Chris Cord finished second in the GTU points standings with two victories at Lime Rock and Daytona. For 1986, it seemed that AAR had obviously made the choice to move up to the GTO category, in spite of the fact that they did not win any GTU Championship. They had built up a good experience and felt enough strong to move and fight against the big bangers. At that point, the AAR operation was geared towards various racing programs, but the Indy program ran into some difficulty, so they could flow people from this program into the GTO one. The rules that were used in the GTO class were relatively complex ones. In fact, a very wide range of engines were used in this class and a series of equivalency formulas was used in order to give everyone's chance to win. Then it was decided to develop the 4T-GT motor for the Celica GTO. It could produce around 475hp, which was quite reasonable for a GTO car. The chassis had been stiffened and improved in terms of workablity. John Ward worked on the chassis design and construction. The car was a front-wheel drive one, converted to rear wheel drive, and it was used with the redesigned chassis. AAR used every rules subtleties to make this car become a real winner. In 1986, Chris Cord and Dennis Aase earned some first and second place finishes, but Dennis Aase was finally fourth in the standings at the end. The biggest problem with the cars was that they were fuel-injected, and this kind of technology was new to the team. They had to roll up their sleeves, and new people came to help. The car which made its debut burned, due to the very high temperatures inside. It was at Riverside during a practice session. Very harsh beginnings, but later in the season, the car became very competitive, and won at Road America and Watkins Glen. Chris Cord and Dennis Aase had some good races in 1986, but they finished only fourth at Mid Ohio. The car was probably much more advanced with twin-plug engine, Hewland transaxle that some competitors complained about its legality. In fact, the AAR drivers didn't care, and the crowds were pleased to see that the GTO battle now offered a third contender to Ford and Chevrolet. The next season seemed to be the good one, as for the competitors, who seemed to think that the Celica was the way to go, according to their technical choices. The season however began with a great disappointment. The team had entered the traditional 24 Hours of Daytona, and one of the Celicas was leading the category. Unfortunately, a shudder in the suspension forced the car to pit and the team could not really fix it. Leading by ten laps, Chris Cord and Steve Millen finished second, four laps down the Roush Racing winning Ford Mustang. The remainder of the season was then all AAR, whose cars captured their share of first and second place finishes. At the end, it was Chris Cord who won the GTO Championship, and it was the first major Championship for AAR. Toyota captured the manufacturers crown too. Chris Cord won at Riverside, Laguna Seca, Portland and Del Mar. But the team suffered setbacks early in the season as Dennis Aase had a very unfortunate season as he broke his leg and foot while testing the team's GTP car : he had to be replaced by Steve Millen, who broke his leg too at Miami, and then Willy T Ribbs took over. Willy T Ribbs won Mid Ohio, Road Atlanta, Summit Point and Watkins Glen. The very unfortunate beginnings seemed to continue at Riverside, when Chris Cord spun while starting from the pole. He had one of his best race ever to win in a very convincing fashion. Then the season was set for AAR. 1987 was undoubtedly a season to be remembered, quotes Dan Gurney, with the Manufacturers and Drivers title. Chris Cord had a great 1987 season and won the GTO Championship driving the Toyota Celica Turbo. And 1988 seemed to be Toyota's too. But Lincoln Mercury now entered Merkurs, which were cars which used some of the same technologies the Toyotas used, and they won the Championship. AAR took five races at Mid Ohio, Road America, Sears Point, Watkins Glen and Del Mar, but Lincoln Mercury had gathered more points than Toyota, which took second, and they won the Manufacturers Championship. It was mainly due to the various cars entered by different teams. Dennis Aase was back in 1988, recovering from his accident, here at Sears Point, where he took a fourth place.